This week Britain’s House of Lords voted to delay the reduction of tax credits for Britain’s poorest working families. Parliamentarians from the ruling Conservative Party are apoplectic at what they say is constitutional outrage – an unelected chamber challenging an elected one. There is an important constitutional issue here, but as usual the Conservatives are pointing to the trees so that we miss the wood. The key issue is not whether the upper chamber is elected; it is how the executive power of the British government should be held accountable, and prevented from excess. Britain does not have a written constitution. There is no charter of sacred principles which sets out the rights and responsibilities of each part of government and of its citizens. What we have is the result of a very messy process of evolution. It is the result of a struggle between those who want unlimited executive power, and those who want to limit it. We can date this struggle back to King John in 1215 at least. Some may push this back to the time of King Alfred the Great in the late 800s. Initially the kings claimed their authority from the Divine. They competed for power with their nobles and with the Church. Things have moved on. The power of the Church was crushed by Henry VIII, and the hold of the Divine withered. The House of Lords retains, nominally, the last vestiges of the rights of the nobles. Instead both the divine and the nobility have been replaced by an idea of the Will of the People. But that is just as slippery an idea as that of the Divine. To most politicians in both Britain’s main ruling parties, the Conservatives and Labour, the Will of the People is represented by a majority in the House of Commons, elected every five years using single member constituencies under the First Past the Post (FPTP) electoral system. In their eyes theses elections confer rights on the House of Commons akin to the old doctrine of the Divine Right of Kings, or the Chinese one of the Mandate of Heaven. This doctrine is often referred to as the Sovereignty of Parliament. The usual practice is that the Commons is controlled my a majority of members from one party, who approve an executive and are expected to support it all of the time. Checks on the executive are regarded as both inefficient and undemocratic. Checks by the judiciary are tolerated (less so if they are at the European level), since most accept that the rule of law is essential to an orderly democratic state. But even that has its limits; the executive chafes at laws that confer rights on ordinary citizens, especially human rights and rights to information. Other checks on power are not accepted. The House of Lords is more there for decoration than anything: a useful political tool to reward politicians for good behaviour, or political donors. There may also be value in the minor revisions to legislation that it proposes from time to time. Hence the anger at this week’s challenge. And yet many observers feel that this leaves an inadequate check on the executive. There is an argument that unlimited executive power is dangerous rather than efficient, and should be subject to checks and balances. The most famous example of this, of course, is the constitution of the United States of America. The political system there often seems stuck in gridlock, and yet we can hardly call that country a failure, or less democratic than ours. There are three classic ways in which executive power might be limited. A written constitution allowing government actions to be challenged in the courts; a federal constitution that distributes powers between federal and state levels; or an “upper” chamber of the legislature to form a check on the main, popularly elected one. Britain has elements of all three, but they are all weak. The Conservatives want to keep it that way, and weaken the second chamber further. Is this a bad thing? Conservatives would argue that a strong executive offers decisive government, that is able to develop the economy and protect its citizens better. In particular it is better placed to push through hard but necessary reforms. These reforms may not have been explicit at the time of the government was elected (one of the key arguments against the tax credit proposals), but there is also a sense that the next election casts a verdict on the past government, as well as electing the new one – so there is accountability in the end. Labour politicians are sympathetic to that line of argument, since they want the minimum limits on power when it is their turn. Liberals oppose this on the basis that it is undemocratic, too beholden to vested interests, and centralises too much power at the national level. These are familiar arguments that I will not try to develop today. Liberals do have a problem when it comes to the House of Lords though. It is manifestly undemocratic, but simply replacing it with an elected upper chamber with similar powers looks a bit of a nonsense. How would the new upper chamber’s mandate differ from that of the Commons? it could set itself up an an alternative “Will of the People” and simply create deadlock. Wouldn’t it be better to have a single chamber and make that work more effectively? Many liberals might accept that argument in theory, but fear in practice that abolition would not be linked to reforms of the Commons, for example to be elected on a proportional voting system. That fear is well-founded, but it leaves them arguing for something that looks inadequate. A better way out is surely to come at the problem form a new angle: that of federalism. The new upper chamber might represent the interests of elected governments below the top level. There are many ways that this can be approached, and it would serve a wider purpose. The would help secure a better distribution of power within the country by strengthening local and regional levels of government (I dislike calling this idea “devolution” because it suggests a top-down process). It may also present a more robust solution for Scots’ demands for more self-rule than the unbalanced solutions now on offer. And it is the urgency of the Scotland problem that might give the idea political traction, alongside the widespread recognition that government in England is over-centralised. That will require some form of constitutional convention to resolve. That is what liberals should be calling for -a not an elected upper chamber by itself. British politics has suffered a massive earthquake with the election of Jeremy Corbyn as Labour leader. There is a lot of dust; there will be aftershocks. But what can liberals say at this point? Let us for now take this development at face value. There is an upsurge of public support for Mr Corbyn amongst people desperate an alternative narrative to “austerity”, and for a political party with real left-wing values. Let us say that the half a million or so people who took part in the party’s election process are not mainly London clictivists, but will join Labour’s campaigning by making phone calls, knocking on doors and donating money, from London to Leeds and from Bristol to Glasgow. Let us also say that Labour will not be riven my infighting but will mobilise behind a concerted attack on government policies. If this happens there will be real momentum behind Labour. It will take the wind from the sails of the Green Party; Tim Farron, the Liberal Democrats’ new leader will find it very difficult to attract people to his party through returning to left-wing campaigning. Many working class Ukip voters will consider returning to Labour, now that it has rejected the establishment consensus. Labour will start winning by elections against all comers. All this would throw down the gauntlet to liberals who reject the government’s creed of economic liberalism. If it looks as if this reinvigorated Labour party might make headway against the Conservatives, do liberals support them in the hope that a transfer of power will be good for the country? Or do they think this new movement is fundamentally wrong, and has to be stopped at all costs? There seem to be three groups of issues that could decide this. The first is Britain’s place in the wider world and defence. At this point it is very unclear what Labour’s new stance will be. 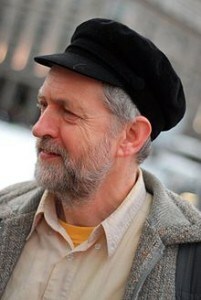 Mr Corbyn himself has been associated with some very extreme views, such as that Britain should leave NATO. It’s pretty safe to say, though, that Labour’s policy line will be more moderate than this. But surely it will oppose just about any foreign military intervention, and the the odds are it will come out against renewal of Britain’s Trident nuclear weapons systems. Not so long ago these views would have been considered so extreme that no respectable politician should entertain them. But now there is a good case to be made. There seems to be little point in such heavy-duty and expensive nuclear armaments, which will be dependent on US support. There is a respectable case for more limited nuclear weapons, or even complete nuclear disarmament. Likewise foreign military intervention doesn’t seem to be making the world a safer place. They provide no answers to filling the political vacuums that are the real threat to stability. If Labour starts to support leftist regimes that do not support political pluralism, such as those in Cuba or Venezuela, then that will be another matter. But I don’t think Mr Corbyn will be able to take his party to those positions. So liberals may not be given enough reason here to oppose the movement. The second groups of issues is economics. This is central to Labour’s new appeal, as cn be seen by Mr Corbyn’s appointment of left-winger John McDonnell to the role of Shadow Chancellor. It will define itself through a bitter a bitter opposition to “austerity”. It will oppose this they mean cutbacks to benefits or public services, or raising taxes on anybody but a rich elite. They are also opposed to any serious reform of public services, apart from moves to a model of state-owned command and control organisations, staffed by union members on permanent contracts. Two ideas are offered to make this economically viable. The first is a sort of semi-digested Keynesianism, which suggests that their policies will stimulate demand and so economic growth and, through this, extra tax revenues. The second is that there are vast amounts of extra tax available from taxing the rich more, clamping down on tax avoidance and evasion, and attacking “corporate welfare” – tax breaks and subsidies for businesses. I have commented on these ideas before. For now all I need to say is that there are two paradoxes at the heart of this economic programme. The first is that, almost by definition, rowing back on austerity means a greater dependence on global financial markets to provide funding – printing money is not a long term strategy. And yet these markets are treated with contempt. The second paradox is that their policies depend on a healthy private sector economy to deliver economic growth and tax revenues, and yet they also want to make life more difficult for the private sector, and encourage businesses to take their investment elsewhere. No left wing government, from Francois Hollande’s Socialists in France to Alexis Tsipras’s Syriza in Greece, has found an answer to these paradoxes. The anti-austerity programmes of the former were sunk by the need to attract private sector investment, and the latter by the need to keep borrowing money from abroad without a clear prospectus for paying that money back. But, if in the end governments will be forced to their senses by the dictates of markets, perhaps we can tolerate a little short-term economic chaos? We can, after all, be sympathetic with the idea of using the tax system to effect redistribution of wealth. That depends on the third group of issues: political reform. The Conservatives now control the government because the current political system is weighted in their favour. Liberals favour a more pluralistic system, with greater checks and balances. To achieve this we need political reform in a number of areas. Will Mr Corbyn’s Labour Party support these, or simply offer vague platitudes like his predecessor, Tony Blair? That will be, or should be, the defining issue for liberals. What are these areas? The first is political finance and the reach of big money. The UK is not anything like as bad as the US – but that country points to the dangers. Laws start to be dictated by corporate vested interests – a particular problem in public services outsourcing, and intellectual property. Mr Corbyn’s Labour Party will surely be much more serious about this than its predecessors. Next is devolution. This means not just protecting the settlements in Scotland and Wales, but promoting further devolution to English regions and councils – including revenue raising powers, and the coordination of public services. There is reason to be suspicious of Labour intentions here – though since Labour also control England’s major cities, there might be some constructive tension. I have not forgiven Andy Burnham’s scepticism of the devolution of health services to greater Manchester. Electoral reform. This really is the only way of promoting political pluralism in the long run. We need a system based on some form of proportionality, such as the Single Transferable Vote (used in Northern Ireland, and indeed the Irish Republic) or the Alternative Member system (used for the Scottish and Welsh Parliaments and the London Assembly). We have to be careful here; there is real public scepticism about this. And moving to PR at national elections is a big step. But a firm commitment to PR for local elections is an essential accompaniment to serious progress on devolution. Will Labour deliver on these? I would be most surprised if we get anything more than a few warm but vague words. For the hard left consolidating political power is the whole point and purpose of politics, and they want to monopolise it. They don’t accept pluralism except as a way of identifying enemies. The can’t accept that empowering the people can mean anything other than conferring the mandate of heaven to their own political elite. There are pluralists in Labour, but on political matters the Blairites and the hard left are remarkably close together. If Jeremy Corbyn strikes out on a different line, then the movement he has started may yet be a worthy revolution.